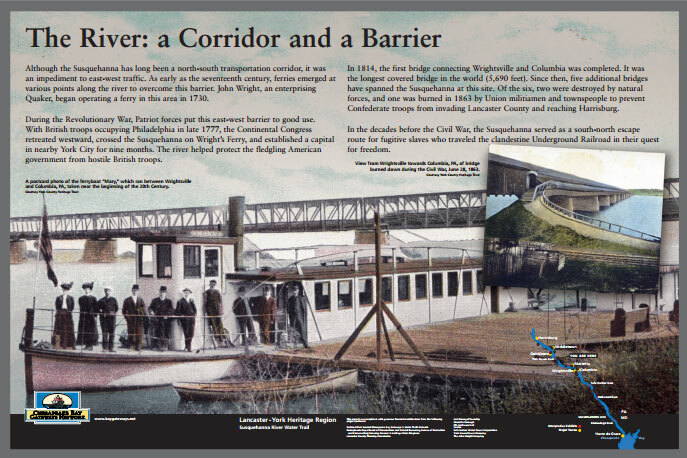 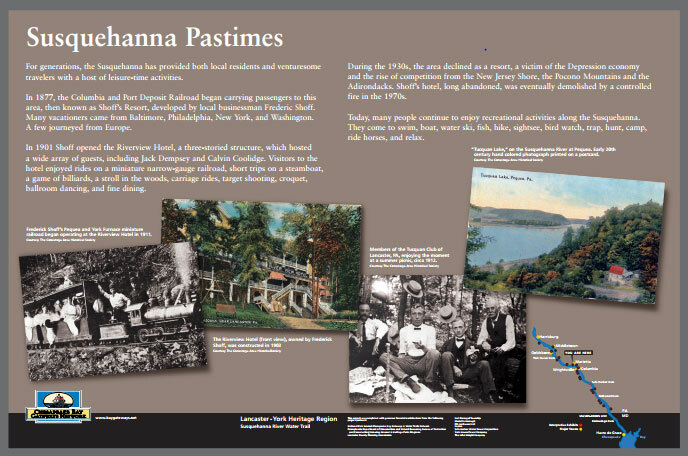 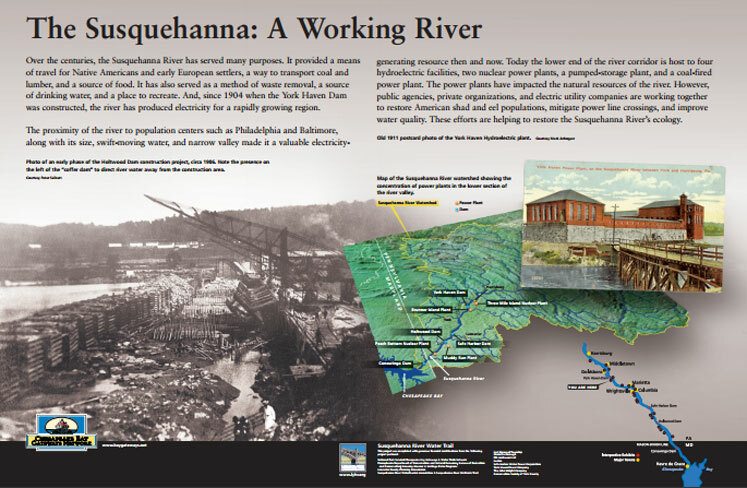 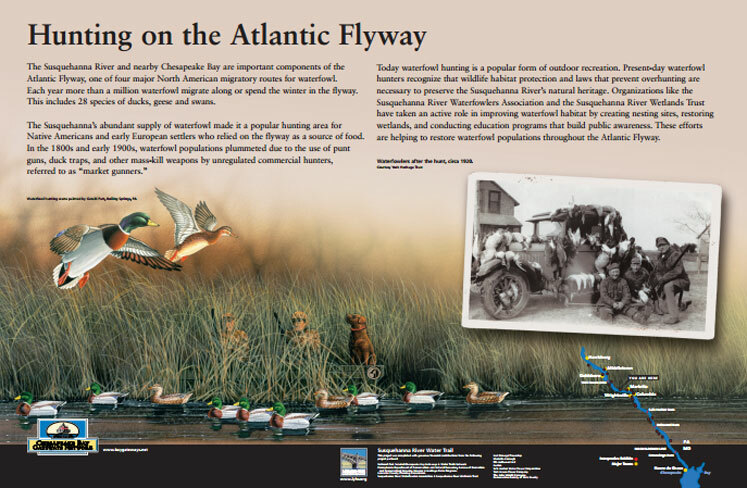 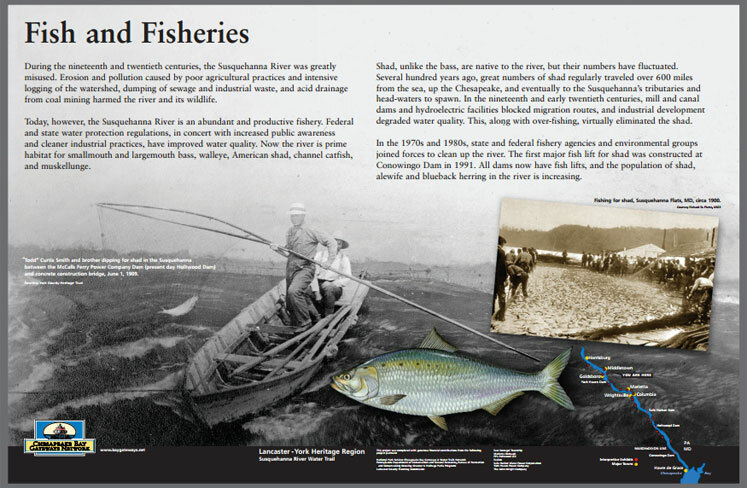 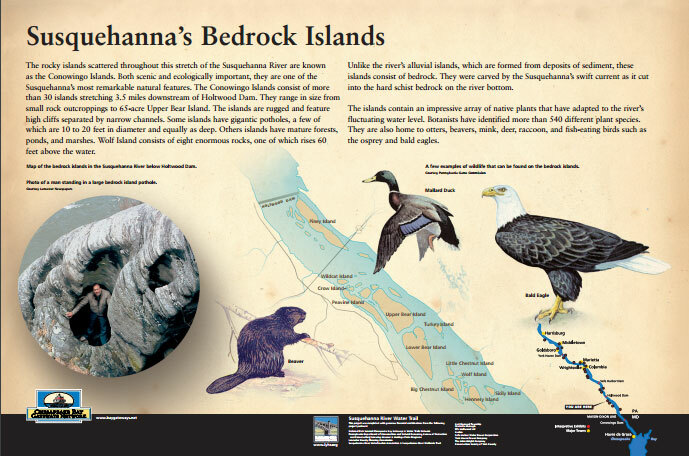 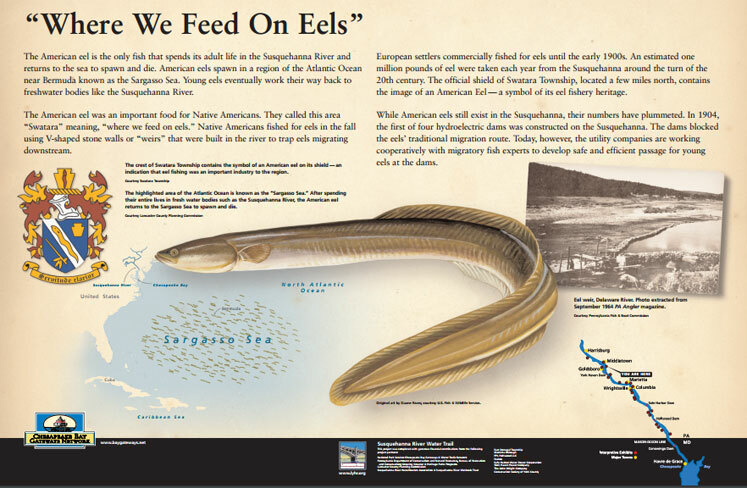 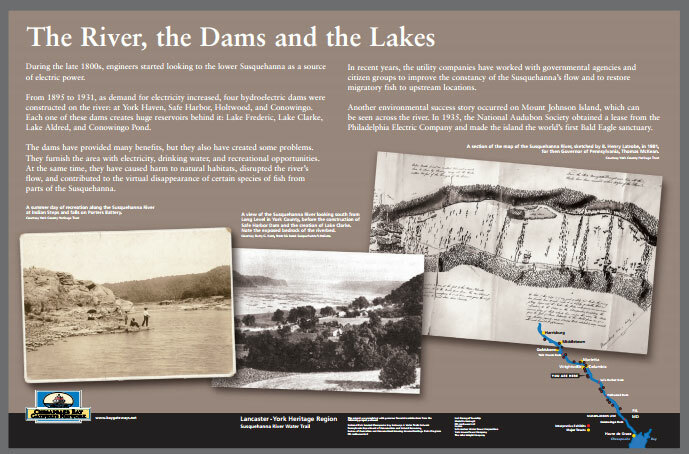 Susquehanna Heritage’s river history panels for the Susquehanna River Water Trail provide opportunities for visitors to learn the stories of the river online or along the river itself. 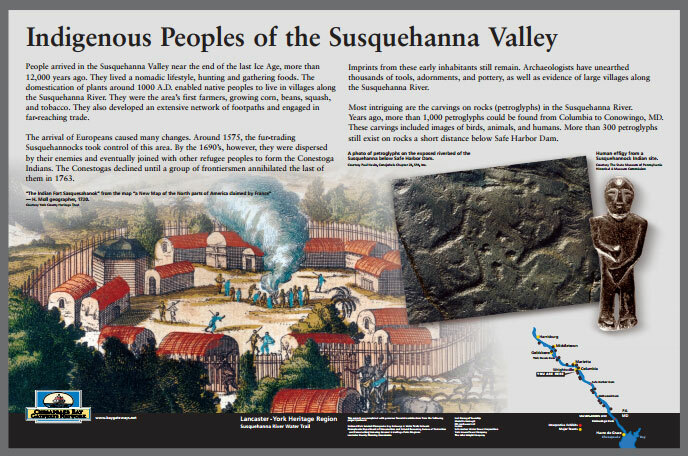 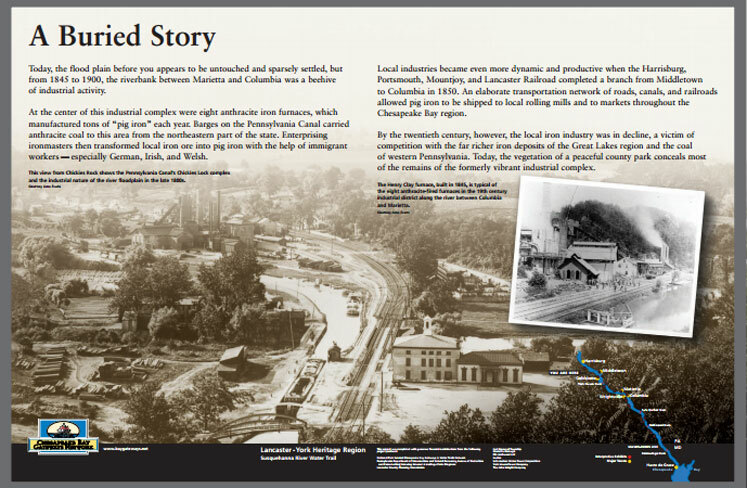 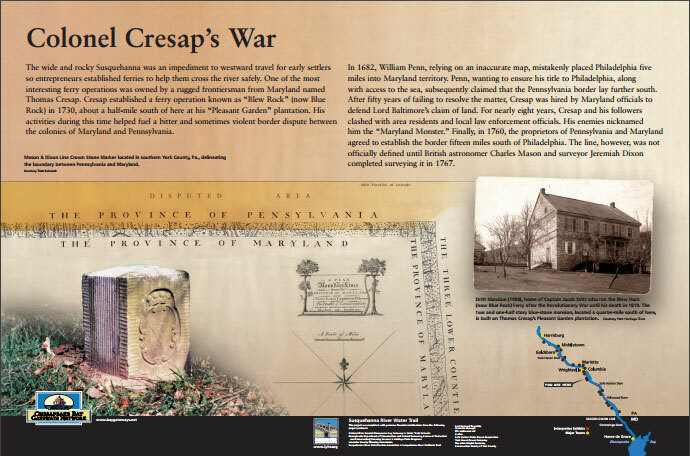 Located at twenty-one access sites along the river in Lancaster and York Counties, these stories provide an engaging overview of the unique history of the Susquehanna Riverlands. 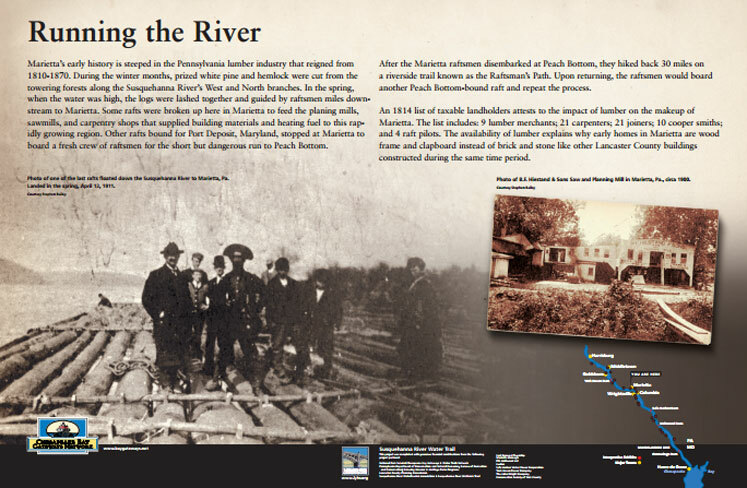 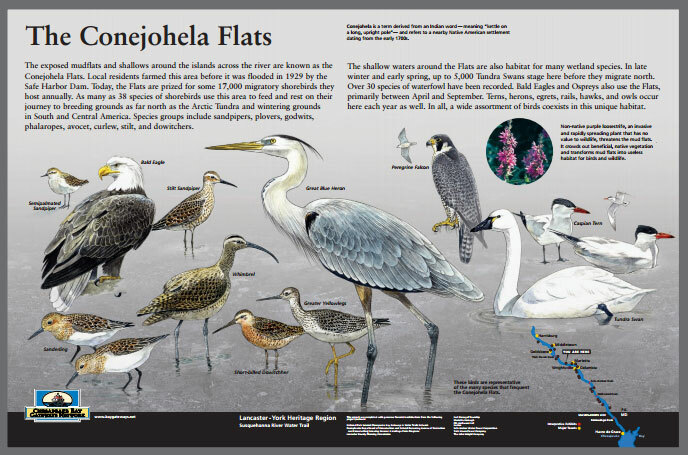 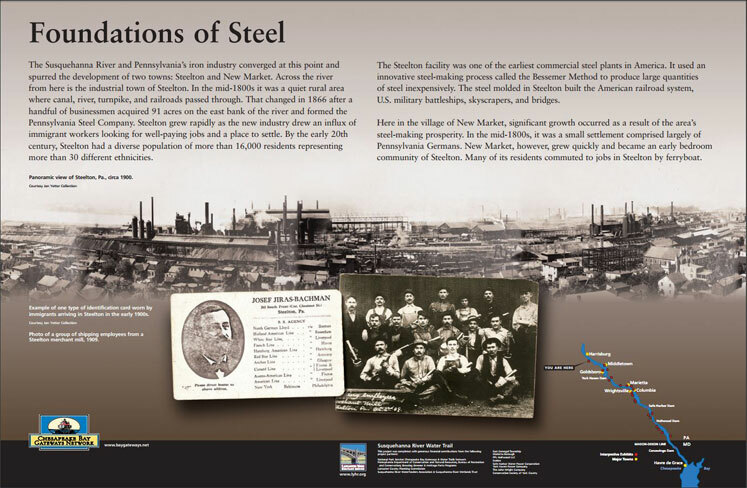 Click on the images below to view the panels and learn more about the rich heritage of the river and our region. 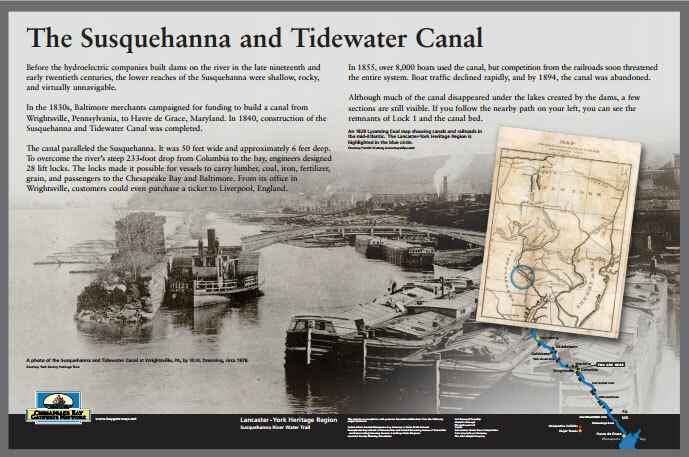 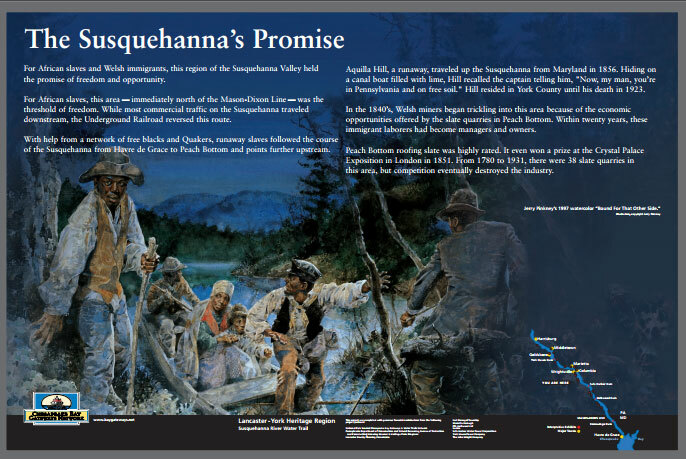 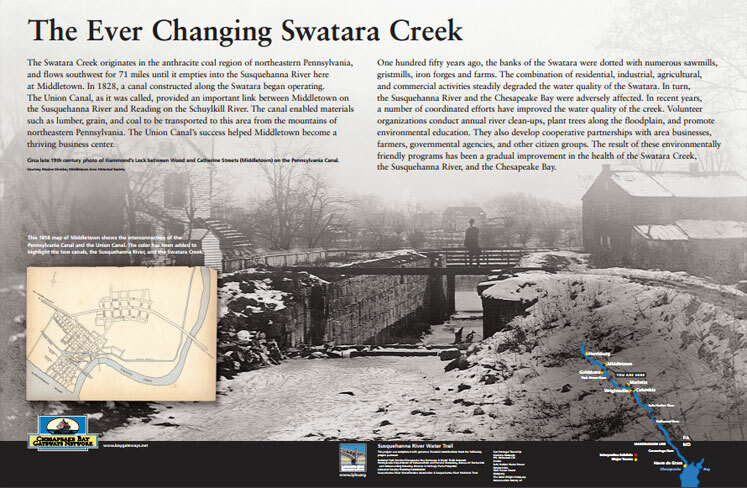 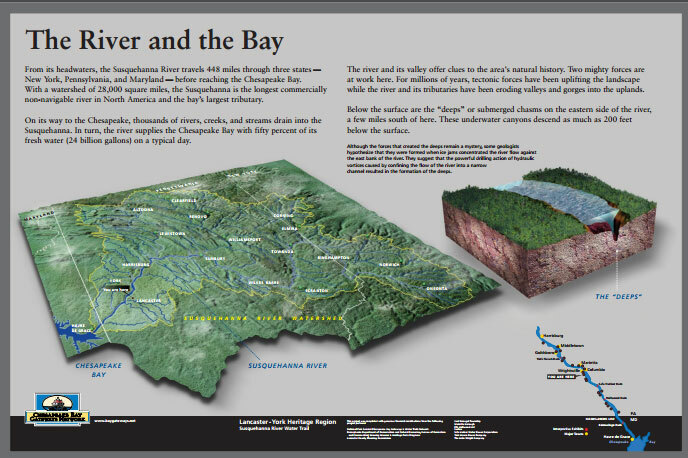 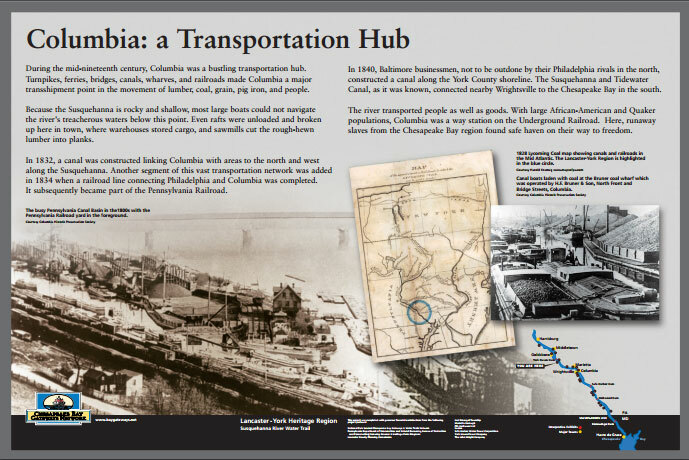 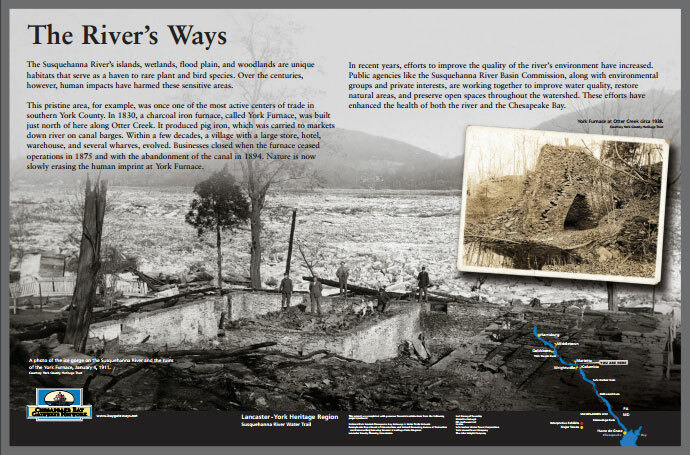 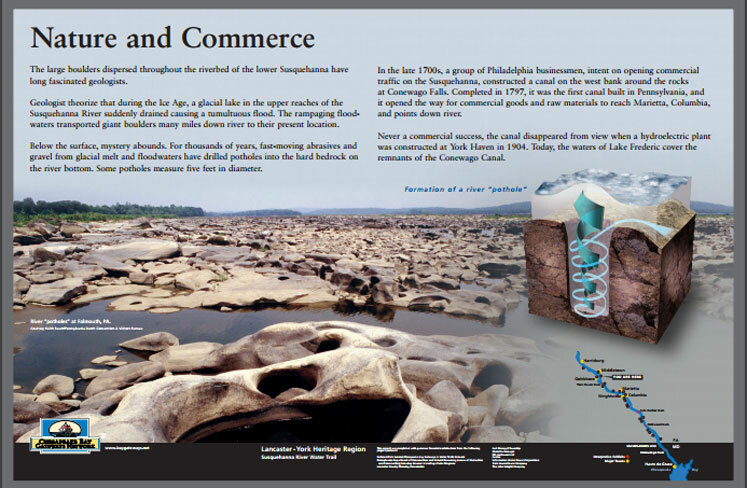 For the complete water trail experience, you can purchase the Susquehanna River Water Trail Map that includes the locations of the history panels.